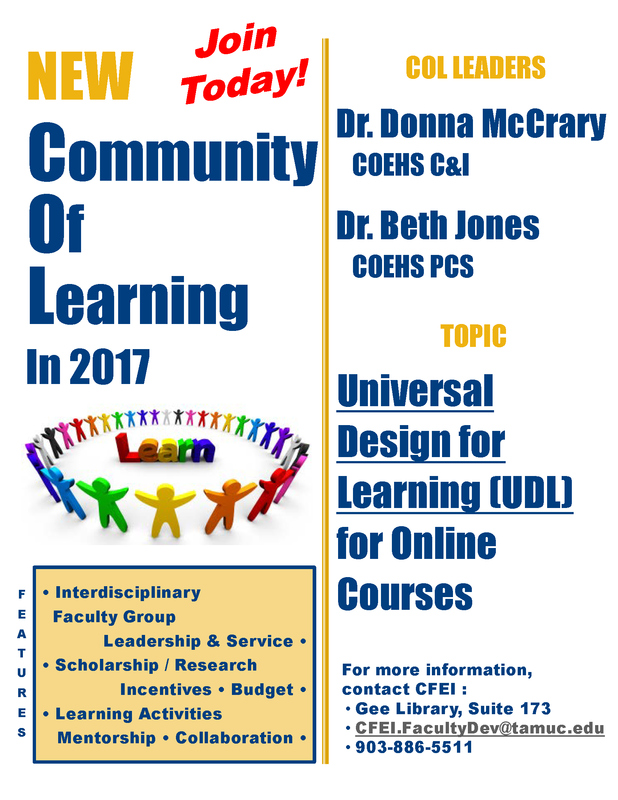 For more information about faculty Communities of Learning, click here. To join this community, contact Felicity Grandjean, 903-468-8792 or felicity.grandjean@tamuc.edu. All faculty and adjunct faculty are welcomed to join. The community will be limited to 15 members. Reserve your seat today! The community will begin in 2017.